When the Nintendo 3DS first came out last March, it did not garner much excitement. Critics complained about the lack of 3D games. On the plus side, eye doctors reported that it could help identify children’s vision problems. Approximately 400,000 of the devices were sold in the first week it was available in the US. Not a bad launch, overall, but not as exciting as many of hope. But rather than give up on the device, Nintendo kept plodding away and making adjustments to find its market. One of their first steps – in July, they lowered the price from $250 to $170. Oh – but what about shoppers who had bought it at the higher price? Nintendo handled that by giving those that paid a higher price a title, “Ambassadors,” and 20 free games. And not junk games either, but actual popular titles like Super Mario Bros, Ice Climber, Donkey Kong Jr., The Legend of Zelda, and more. July also saw the addition of a Netflix app for the Nintendo 3DS. And in October, Nintendo brought a Hulu Plus app to the Nintendo 3DS. Things were looking up for the 3DS. By January, as we noted in a story at the time, the company had sold 4 million of the devices. In February, Nintendo announced that more games were on the way. It appears that Nintendo’s persistence has paid off. They announced today that the company sold almost twice as many Nintendo 3DSs in the first year of its launch than they did the Nintendo DS in its first year. 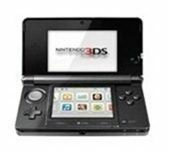 The 3DS also lapped the DS during its first year in total sales revenue. Including the hardware, software and accessories, the DS brought in $540 million of sales during its first year. The 3DS brought in $1.2 billion+.